Create C programs for a microcontroller using inputs/outputs, timers, analog-to-digital converters, comm ports, and LCD. The course is laboratory based. Almost every lecture and section of the course leads directly to a hands-on laboratory assignment. The more practice you get using the “real world" Texas Instruments hardware and software the more proficient you will be. The course does not waste your time. From the very beginning, we jump right in to your first laboratory assignment – Let's Get Started. The course is modular in nature. 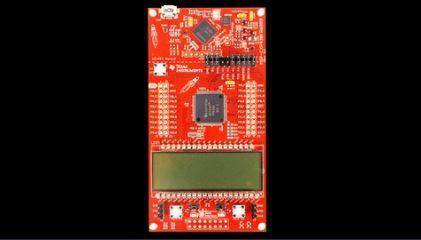 Are you new to the world of microcontrollers? Great! Start at the beginning, and we'll teach you everything you need to know. Do you have some background in microcontrollers but want to learn more? Fantastic! You can pick and choose the modules that you need. The course is packed with information. From the beginnings of the C programming language to advanced microcontroller peripherals, the course teaches you all of the building blocks you would need to build your own electronic systems. We use lots and lots of examples. We take you step-by-step through the lessons – each time providing sample code and documentation to make sure you are supported through the course. We are here to help. We are educators with a singular focus of providing a meaningful experience for our students. And, while we cannot do the work for you, we are willing to work WITH you help you succeed.